Just a couple of weeks ago, Will Butler released a new video starring Emma Stone. That clip, for the song “Anna,” was charming and whimsical, with Stone dancing manically on the Queen Mary as the song blasted in the background. Now Butler is back with a new video starring yet another lovely young gal. 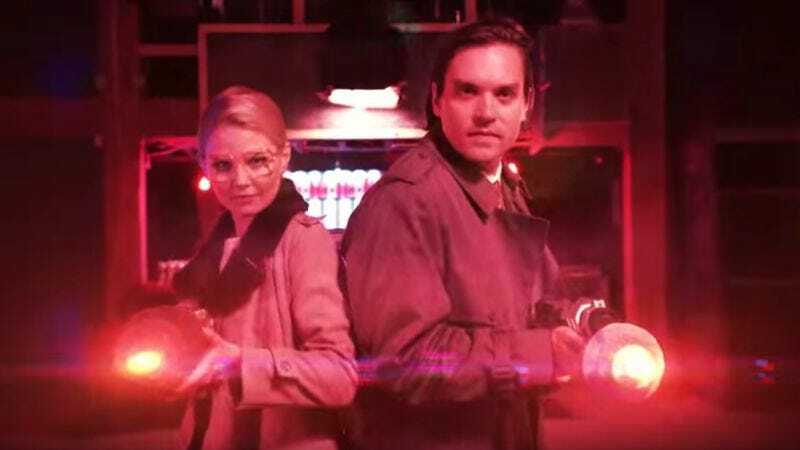 In the clip for “What I Want,” Once Upon A Time and House star Jennifer Morrison pops up alongside Butler as a sort of anti-punk avenger, armed with a laser gun and attempting to turn fun kid rock and rollers into “boring parents.” (Perry Farrell’s also in the clip, along with his kid, Hezron.) Visually, the clip is weird and a bit frantic, but so is a good portion of Butler’s music, so it all works out in the end.